The Earl of Sutherland built the Chapel of Sanct Andrew for the use of his family in the thirteenth century. 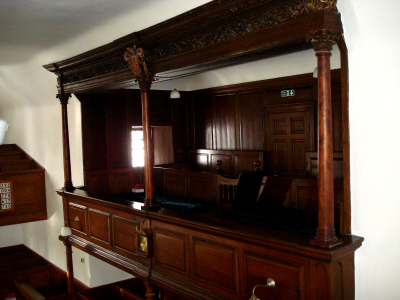 Important local events, such as the signing of documents, took place there as well as services, and many are recorded in the History of the Earldom of Sutherland, written by Sir Robert Gordon in 1639. 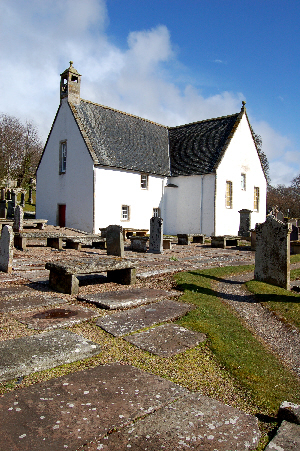 The chapel became the Parish Church in 1619, replacing the one at Culmaily Kirkton, two miles to the West, which had become ruinous. St. Andrew's itself had become unsafe by 1736, and it was completely rebuilt in 1737-39. It gained its south transept in 1751, partly to support the bulging long wall, but also to increase the seating capacity. The belfry was added in 1774, and the porch in 1849. There are many early burials in the churchyard, but few are dated or named: the inscriptions start at about 1700. 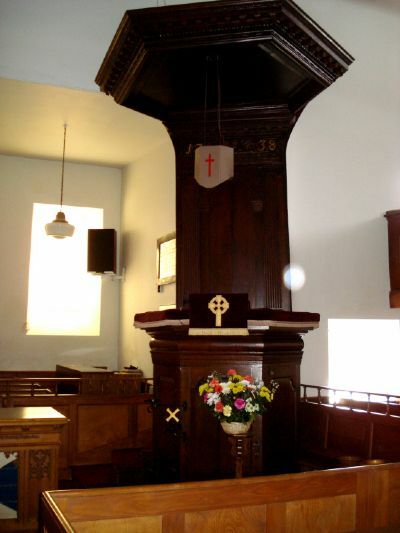 The interior of the church is graced by a superb canopied pulpit, dated 1738, and the Sutherland Loft of 1739, both carved by Kenneth Sutherland, who was the carpenter at Dunrobin. The loft is signed by him. A short history is available, and more detail can be found in Golspie's Story, by Margaret Wilson Grant, published by the Northern Times in 1993. Much conservation work has been done in recent years, funded by Historic Scotland, the Scottish Churches Architectural Trust, the Church of Scotland, and many others, including the Congregation. Sunday Worship is at 11a.m. ; if you would like to see over the church at other times, phone Michael Simpson on 01408 633414. Welcome to Golspie!